Before I can write about this story, I need to talk about Stephen Carter’s “Winter Light” (in What of the Night?) because as I read “The Week-end” I kept thinking This could have been May Swenson. 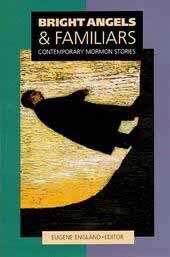 Carter’s Aunt May is one of the Twentieth Century’s great poets and she was an expat Utah Mormon living in the wilds of New York, leaving behind family and faith for poetry and pretty girls. “Winter Light” discusses May’s career from the point-of-view of her family. Over the course of the essay, Carter becomes more sympathetic to her plight, but the family in general views her as a lost soul, eternally trapped in a waiting place, separated from the family she loved. What’s lacking from “Winter Light” (and Carter knows it) is May’s own perspective.